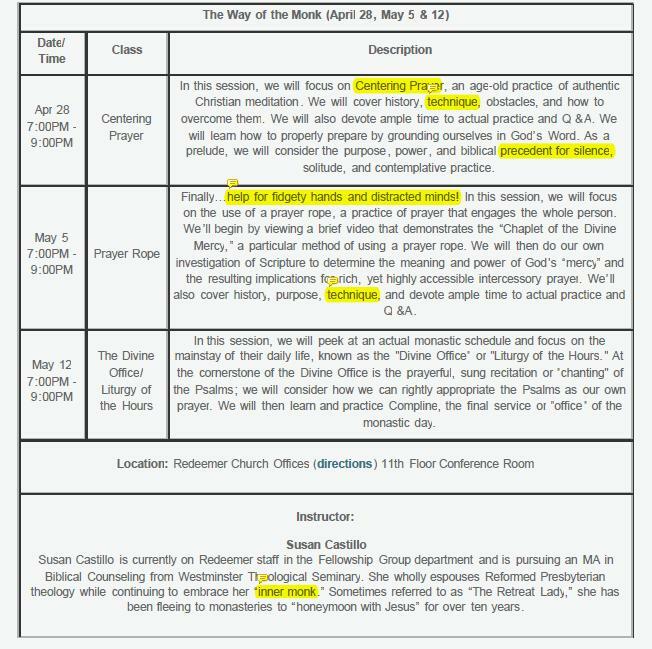 A while back Apprising Ministries told you that Rick Warren And Peter Scazzero Are Up To Monk-ee Business and also asked is: Tim Keller Endorsing Counter-Reformation Contemplative Spirituality? Briefly, Leadership Network’s propped up Purpose Driven Pope Rick Warren has actually been been up to spiritual monk-ee business for years now in opening the door for corrupt Contemplative Spirituality/Mysticism (CSM) ala Living Spiritual Teacher and Quaker mystic Richard Foster—and his spiritual twin Dallas Willard—within the mainstream of evangelicalism. 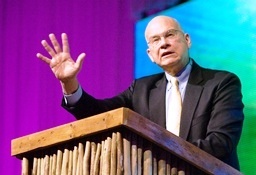 You need to understand that this spurious CSM is basically reimagined Roman Catholic mysticism allegedly “discovered” by Foster, and now perpetrated within the mainstream of evangelicalism as supposed Spiritual Formation—with an able assist from his running mate Willard; both were key mentors of the sinfully ecumenical neo-liberal cult of the Emergent Church aka the Emerging Church. CSM was a core doctrine in the EC right from its hatching in Hell and plays a large part in the development of its postmodern Progressive Christian theology—a Liberalism 2.0—that they often refer to as “big tent” Emergence Christianity. The truth is that the very rotten core practice of this CSM is Contemplative/Centering Prayer (CCP), which is sometimes referred to as practicing “silence and solitude” or by the ridiculous moniker “wordless prayer”; but it’s actually a type of meditation in an altered state of consciousness that’s virtually identical to that practiced in Eastern religions such as Zen Buddhism and the transcendental meditation of Hinduism. 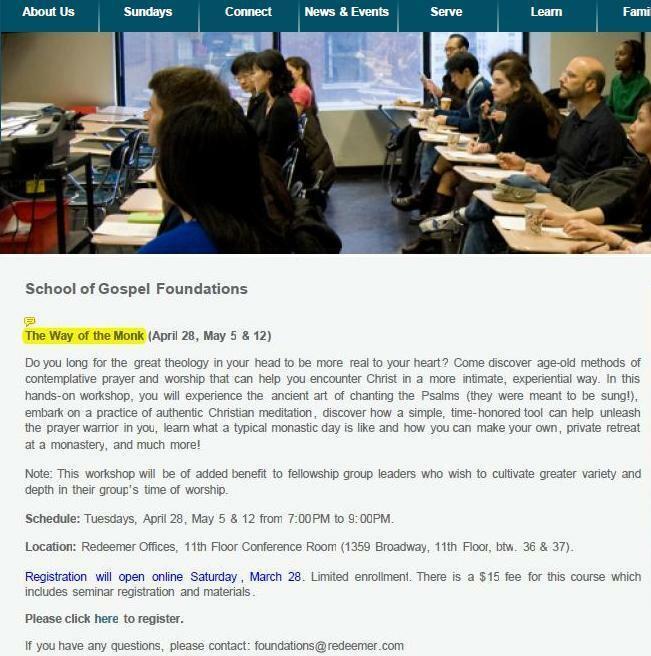 And yet this kind of spurious spiritual formation—so-called “Christian” mysticism, which really developed in the antibiblical monastic traditions of apostate Roman Catholicism, is now showing up in more and more evangelical churches. With this in mind, in recent posts such as Acts 29 Network And Reformed Counter Reformation Spirituality? and Acts 29 Pastor Matt Chandler On Being A Reformed Charismatic I’ve shared some concern about so-called New Calvinism, which itself appears to be a postmodern form of Calvinism embracing both Reformation theology and the Counter Reformation spirituality of CSM. 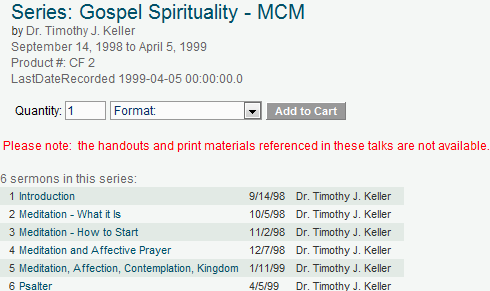 While openly recommending Foster-Willardism seems new, here you’ll see evidence from Tim Keller, one of New Calvinism’s most respected spokesman, that he was encouraging CSM at his Redeemer Presbyterian Church (RPC) circa 1998 around the time the EC was launching.